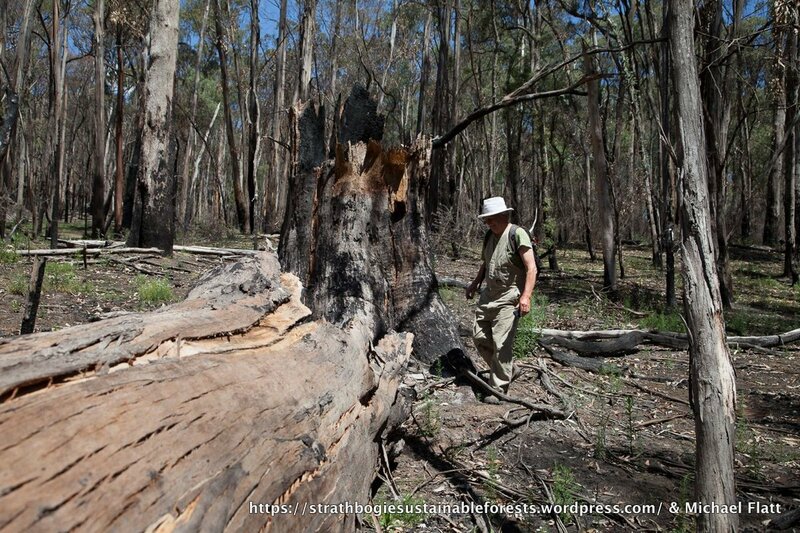 One of the remaining giants in this forest; killed and felled by last season’s planned burn. Note the lack of big trees in the forest beyond. 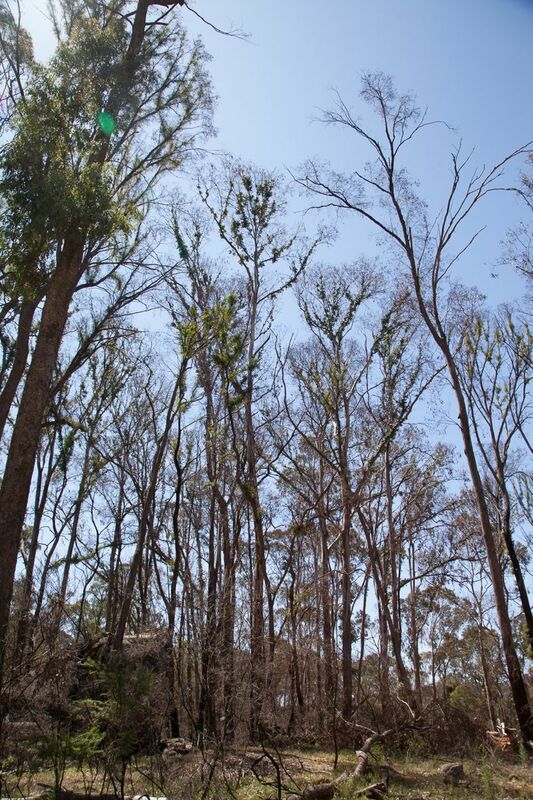 Large areas of the canopy were severely burnt and are now trying to recover. was it still standing, or had it been felled by the fire? We split into two groups of about six, armed with tape-measures, gps, data-sheets, camera, picnic lunch and First Aid kit. The going was pretty slow, as the forest contained about 20 trees/ha greater than 70 cm dbh. Much of this forest had been heavily logged, perhaps 40-50 years ago, and regeneration from that disturbance has created a dense stand of poles. We had planned to survey at least two 1 km transects, but it took each group about 3 hours to walk a 550 m transect – there were lots of trees to measure! 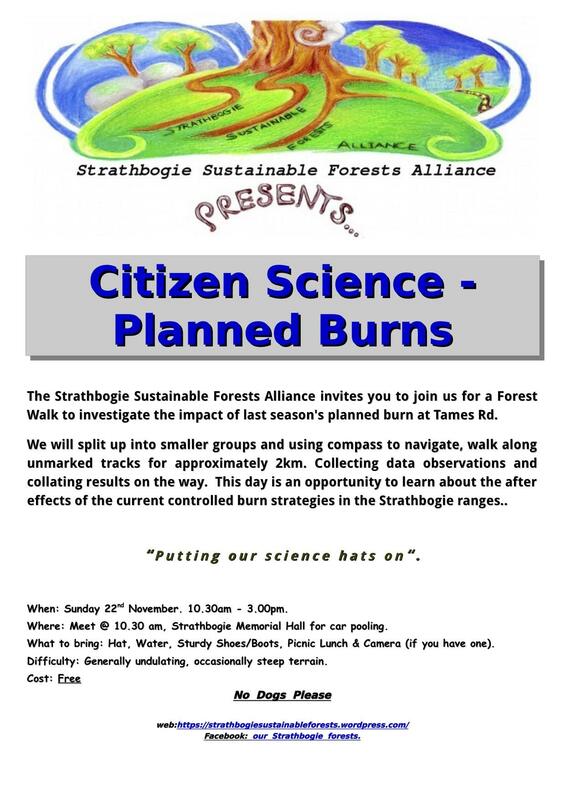 Planned burns – what’s the impact? On a recent Wednesday evening about 40 people attended the Old Flour Mill in Euroa for an update on the Strathbogie Forest Campaign. Most stayed around for a photo afterwards. 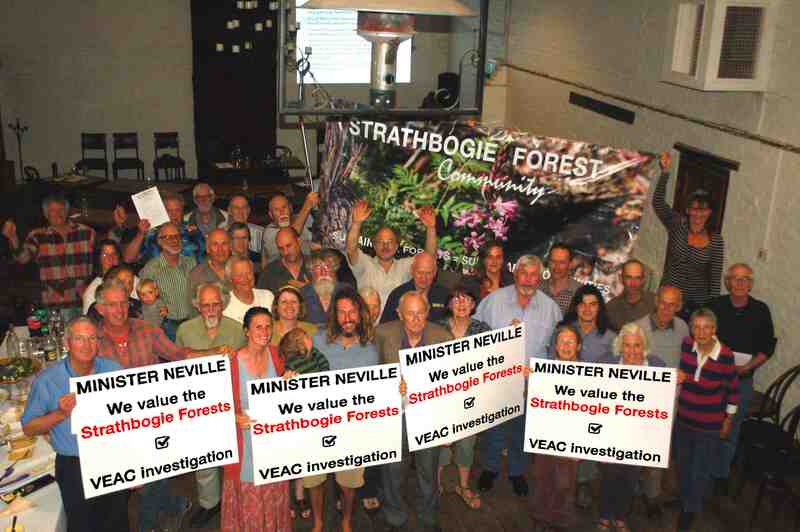 The passionate message the group wanted to send to Minister Neville was clear and loud – YES to a VEAC investigation into management of forest on public land in the Strathbogie Ranges!! Dear Minister – can you hear us?